The Crested Cranes’ dream of winning the 2018 COSAFA Women’s Championship was ended by hosts South Africa on Thursday evening. Faridah Bulega’s side who are in the competition as guests were second favourite to win the title but fell 2-0 to the hosts at the Wolfson Stadium in the last four. A goal in either half by Linda Maserame and Jermaine Seoposenne guided the Banyana Banyana to victory over hapless Uganda. 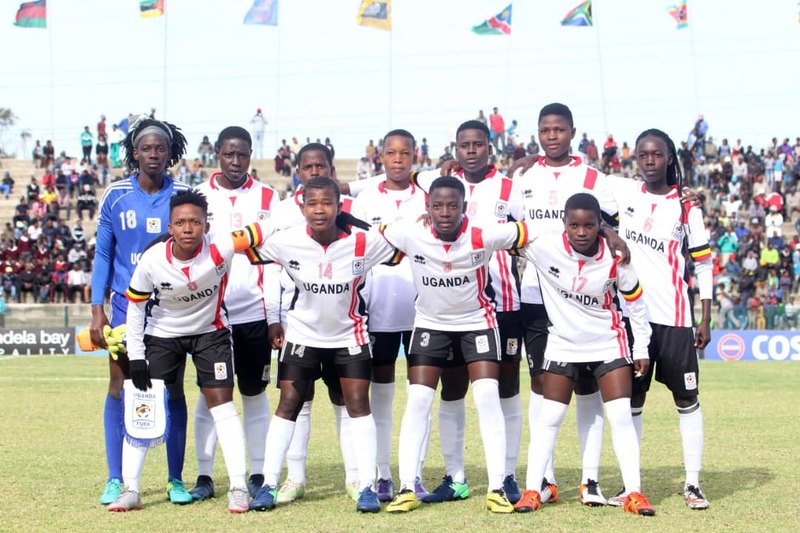 Crested Cranes head coach Faridah Bulega maintained the same team that started against Zimbabwe in the previous game despite calls for Hasifah Nassuna to start. The hosts raced into an early lead with on seven minutes on the clock when Maserame brilliantly controlled Biyana Kholosa’s long ball before slotting it into the back of Ruth Aturo’s net. The Crested Cranes made efforts to search for an equaliser but were not clinical enough to make use of the chances. Midfielder Shamira Nalujja had her effort just outside the area go wide in the 11th minute. She also had another chance on 21 minutes when South Africa defender Alice Motroh lost possession cheaply but the Crested Crane midfielder opted to tee up Lilian Mutuuzo who could not finish from close range. Bulega called for a double substitution two minutes into the second half with Hasifa Nassuna and Juliet Nalukenge replacing Shamira Nalujja and Lilian Mutuuzo respectively. The substitutions that worked magic in the win against Zimbabwe could not do likewise as South Africa doubled their lead in the 67th minute with Maserame laying up Seoposenne to kill off the game. Uganda will now shift focus to the third place playoff against Zambia who lost to Cameroon 1-0 in the other semifinal. The third place playoff match will be played at 04:00pm on Thursday at the Wolfson Stadium in Port Elizabeth. Ruth Aturo (GK), Phiona Nabbumba, Shamira Nalujja, Aisha Namukisa, Grace Aluka, Shadia Nankya, Viola Namuddu, Tracy Jones Akiror, Zaina Namuleme, Resty Nanziri, Lilian Mutuuzo.